The first race of the day comes in the Listed contest just over 2 miles and in this tricky contest we are hoping for a resurgent run from the Paul Nicholls trained Magic Saint. This five year old was looked at as a right gamble in the Grand Annual at the Cheltenham festival but never produced his run and to be honest, flopped. However, before that run he was superb in a Class 2 at Wincanton beating the favourite here today Azzuri fairly comfortably and anything like that performance would see him in the mix, but does need to shrug off that Cheltenham run. Two selections for us in this one and in this Class 2 Handicap over 3 miles we have gone for the Henry Oliver trained Kilfilum Cross and the Paul Nicholls trained Ibis Du Rheu. Starting with Kilfilum Cross and this grey ran a superb race at the Cheltenham festival finishing second in the Kim Muir Challenge Cup behind the Irish raider Any Second Now and now only three pounds heavier today he is the one to beat off the back of that form. The each way angle that we have looked at in this race is the John Hales Owned Ibis Du Rheu that we believe if he gets back to his best, could seriously play a part in proceedings. He was superb at Cheltenham three starts ago in a Class 2 Novices Chase and now back to only three pounds heavier than that winning mark he holds an each way chance at a nice price. 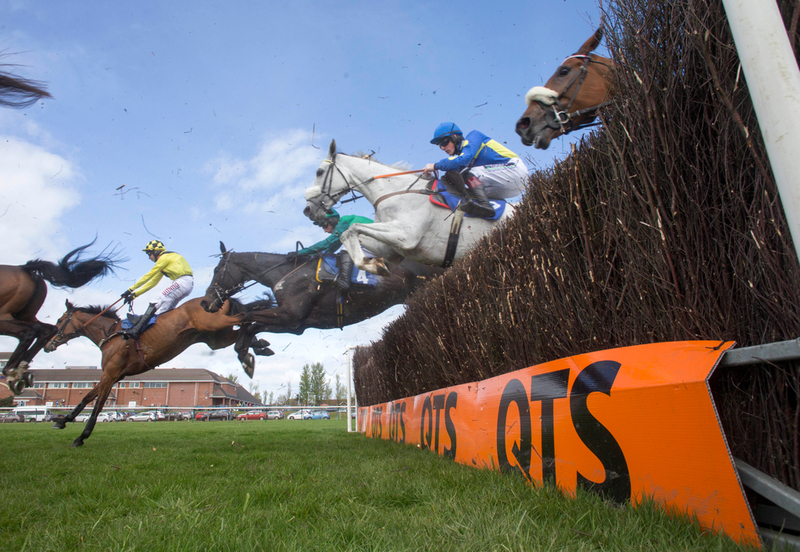 The first big race of the day at Ayr on the second day of the Grand National meeting sees the Grade 2 Scottish Champion Hurdle over 2 miles and we have gone for Nube Negra and Verdana Blue. Starting with the Spanish bred Nube Negra and this gelding has been with the Skelton yard all season and has not quite clicked into gear like we all know he can but coming off the back a good staying on third at Newbury last time out gives him every chance of progressing again. Verdana Blue for Nicky Henderson on ratings is a class above the rest of this field. At Christmas she beat dual Champion Hurdle winning Buveur D'Air in the Christmas Hurdle at Kempton and before that landed the Grade 2 Unibet Elite Hurdle at Wincanton, with both these victories coming on good ground. She will have perfect conditions on Saturday and if brushing aside her weak fifth in the Cheltenham Champion hurdle she will hold every chance. The next race sees another competitive Grade 2 over 2 mile 41/2 furlongs and we have gone for the in form Alan King trained Ballywood who offers the best form in this race. This five year old has won three out of his last four races in Britain and he did not go to Cheltenham or Aintree, just running at Ludlow and winning in what looks good preparation for this contest. His best piece of form was two starts ago at Doncaster when he finished a narrow second to, at the time, the leading Arkle fancy at the cheltenham festival in Dynamite Dollars. That form looks to be the pick of the field. The big race of the day and just one week after the English Grand National we now have the Scottish Grand National over a slightly shorter 2 miles 7 1/2 furlongs. To start, we are going with the Sue Smith Vintage Clouds. This nine year old went through a really good prep for the Aintree Grand National and was a leading fancy for many, but went on to fall at the first fence. Coming out unharmed and still fit, leading connections decided to put him in this contest and if he picks up his jumping he has a really strong chance of replicating what his owners horse Vicente did back in 2017. The each way fancy in this 28 runner race for us comes through the Caroline Bailey trained Crosspark, who is another horse that will definitely stay the trip. This nine year old has Harry Skelton on board on Saturday and comes into this contest off the back of winning the four Mile Eider Handicap Chase at Newcastle and if jumping like he did that day he holds every chance. The final selection from us at Ayr on Saturday sees the Class 2 Handicap over 2 miles 5 furlongs and we have gone for the Jennie Candlish trained Big Time Dancer. This six year old should flourish again now he has the conditions to suit with good ground, after not running to his best at Cheltenham in the Martin Pipe Handicap Hurdle. Before that run, on good ground, he landed the Listed Lanzarote Handicap Hurdle in good style weaving through the field to cosily stay on and if putting Cheltenham behind him, can resume his previous form.